The Turtle Beach Ear Force Stealth 500X is an expensive gaming headset but make no mistake, delivers every bang for your buck. 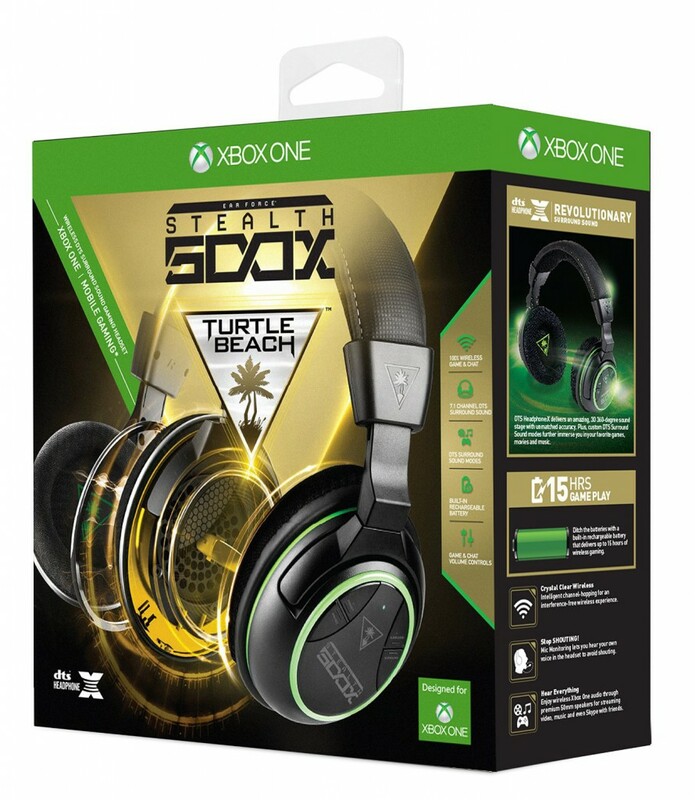 The Turtle Beach Ear Force Stealth 500X Premium Wireless 7.1 Surround Sound Headset for the Xbox One is a remarkable gaming headset specifically designed for the next generation Xbox console. With no controller adapters and cables required, the Turtle Beach 500X is a powerful and completely wireless offering that boasts DTS Headphone: X 7.1 Channel Surround Sound. Whilst its a tight call when comparing it to the Astro A50’s, on the whole, we put the Turtle Beach Ear Force Stealth 500X Premium ahead of the Astro A50’s for a number of reasons which we will go into but mainly because of the totally wireless solution offered by Turtle Beach 500X. First off, sound. Most Xbox One owners will be most interested in this aspect of the Headset and we are pleased to say it does not disappoint. With the update out of the way, it didn’t take long into gameplay to realise that the sound is incredible. It exhibits very clear and crisp sound that will in most cases be over and above what you will be usually used to hearing if coming from any of Turtle Beach’s lesser models. Particularly, hearing footsteps, reloads, enemy sounds and so on gives you a lot of situational awareness which translates into a clear advantage over your competitors. That’s not just for shooters either. Playing games like Limbo with them on is a terrifying experience and brings games like GTA V to full life allowing full immersion into the game world. Party chat is clear and enjoyable with no complaints from friends as to the audio quality. The bass whilst not overpowering, is not underpowered like some of other Turtle Beach headsets and feels finely tuned to strike the right balance. The Ear Force Audio Hub gives you a multitude of options so we suspect that with some trial and error, most users will find a perfect balance of sound for the game of choice. The surrounds sound and pre-set buttons allow you to change the audio balance according to the type of source you are listening to. There are four surround sound modes: Game, Movie, Music and Surround Off and each has a range of pre-sets relevant to that type of sound. You can usefully toggle presets from your headset to which makes switching modes on the fly entirely convenient. The mic is adequate but not the best we have seen. That said, it does its job with very little or no breathing picked up. Some friends did comment that it’s not as loud as it could be but I’m not entirely convinced if there’s any merit to that because I tend to keep the mic further away from my mouth than most. It certainly did not interfere with the long Raids in Destiny we played which requires constant communication. Whilst we are of the view that the headset is phenomenal for gaming, we cannot say the same for listening to music or movies. It’s, by no means, a poor experience, but there is a lack of loudness and clarity in the voices which we found does lessen the experience though explosions do sound great – we think the bass levels are tuned really well with the 500X. 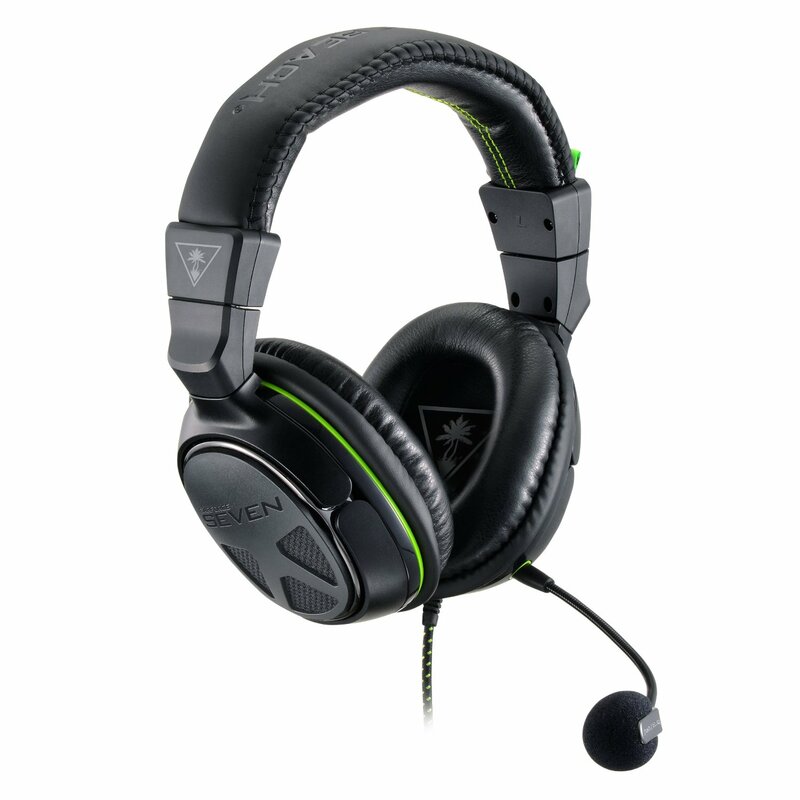 So are the Turtle Beach Ear Force Stealth 500X headset comfortable to wear? The headset is really light and may actually feel a little cheap but after hours of use, we are confident that not only are they comfortable but that they are sturdy and built to last. They cover right over your ears and suction on to your head though not in an uncomfortable way. The snug fit does cancel a lot of outside noise so you really do benefit from the active voice monitoring so you can hear how loud you are talking. We would suggest that they are not as comfortable as the Turtle Beach XO7 but there is extra padding on the underneath of the headband which adds to the comfort and after long hours of use you can actually forget you are wearing them which is a testament to how comfortable they are. I actually fell asleep with them on once and did not wake up with any discomfort, even as a glasses wearer. 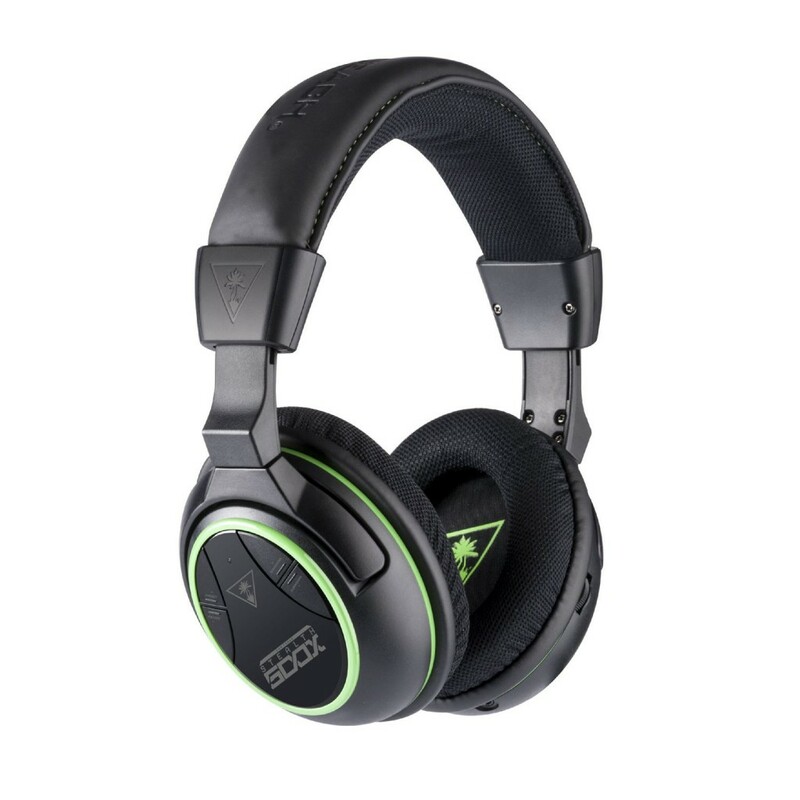 The Turtle Beach Ear Force Stealth 500X are extremely easy to setup. They turn on by holding the power button on for 1 second and turn off by holding it in for 5 seconds. The USB cable and Optical cable connect to the transmitter to the Xbox One. Once that is done, and assuming you have done the update, you will need to head over to the Xbox One Settings screen and gp to “Display and Sound”. From there on the right hand side of the screen there will be Digital Audio Options. The three boxes within this option should be toggled and set to the following settings: “Stereo Uncompressed”, “Bistream Out” and “Dolby Digital”. Be aware that with the headset hooked up, you will not be able to use any other channel such as the Kinect. 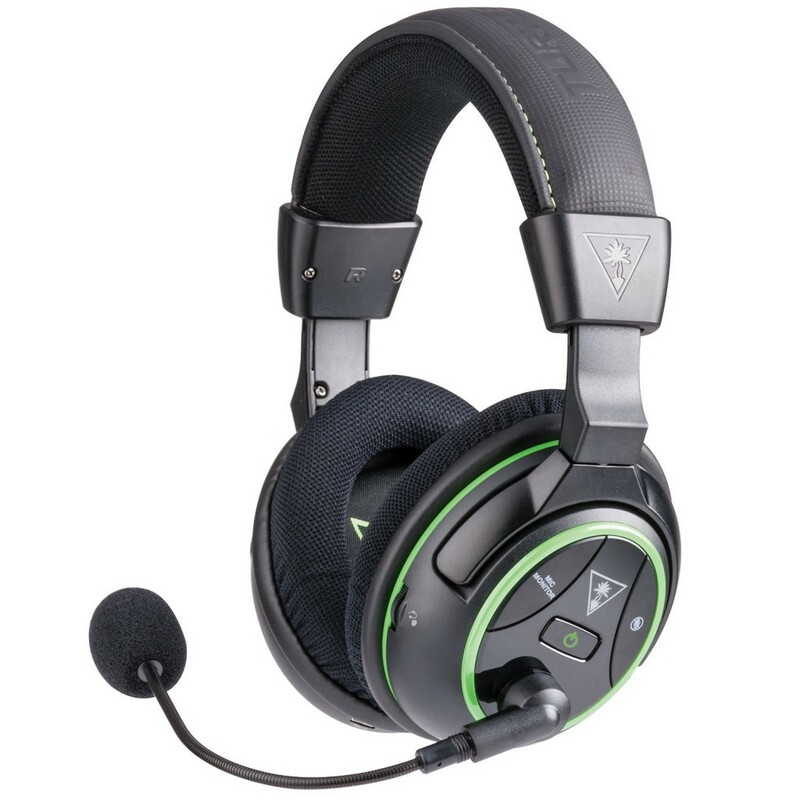 The headset has buttons for power, mic mute, chat volume, game volume and also buttons for setting the surround sound mode and pre-sets. It has an input for a wired connection via a 3.5mm cable and a micro USB input for charging. You can expect roughly around 15 hours of use on a single charge. The Ear Force 500X can be used with Smartphone’s, MP3 players and Tablets for your on the go use. The 3.5mm cable connects the headset to the device. The headset is light and slick enough to use as an ordinary headset though quite bulky in comparison to most dedicated headphones on the market. but if you own anything like Beats by Dr Dre or other specialised headphones for your device you will probably want to stick with those as the 500X are not specifically designed for the music listener. We mentioned at the beginning that the 500X in our opinion pips slightly ahead of its main rival the Astro A50’s. The main difference between the Turtle Beach Ear Force 500X and Astro Gaming A50 is that the former is fully wireless. The Asto A50 makes use of the Xbox One adaptor and is hardwired to it which means its not a totally wireless setup. The Xbox One adaptors are of a poor build and the cable between the headset to the controller is not very long meaning you will feel restricted. As strong as the wire is constructed, it’s usually the first thing to experience faults and we have once or twice stood up and pulled the controller of the desk by mistake making the setup prone to damage by mistake. We worry that the A50’s have a very short life span for all of these reasons. Coupled with the much higher price of the A50’s, the 500X becomes an easy recommendation to make out of the two. There’s just a great deal to be said about a totally wireless solution in our mind and a slight compromise in sound quality is perfectly acceptable in the long run. That said they are both extremely comfortable though it would not be inaccurate to say that the Astro A50’s suit larger head sizes despite the adjustable headband for the 500X. They both look really nice though we would have to give the slight edge to the A50’s on looks. 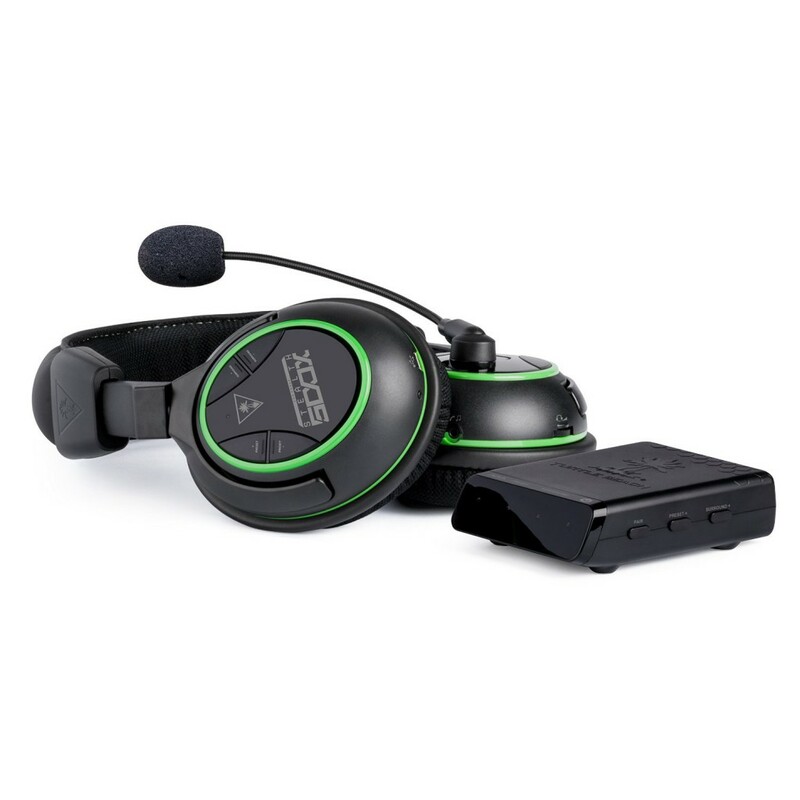 The Astro A50’s use Dolby Surround Sound technology whereas the Turtle Beach Ear Force Stealth 500X use DTS. The differences between the two are not significant but we would say that Dolby comes out slightly on top with slightly more crisper sounds. The active voice monitoring on the 500Xs’ makes hearing yourself easier than the A50’s however. 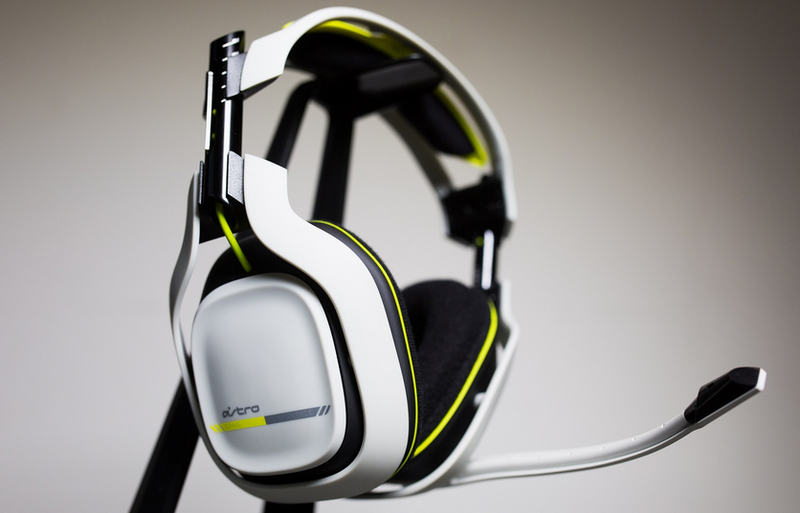 The Astro A50’s come in a variety of versions; Xbox One, PS4 and Halo Master Chief Collection. 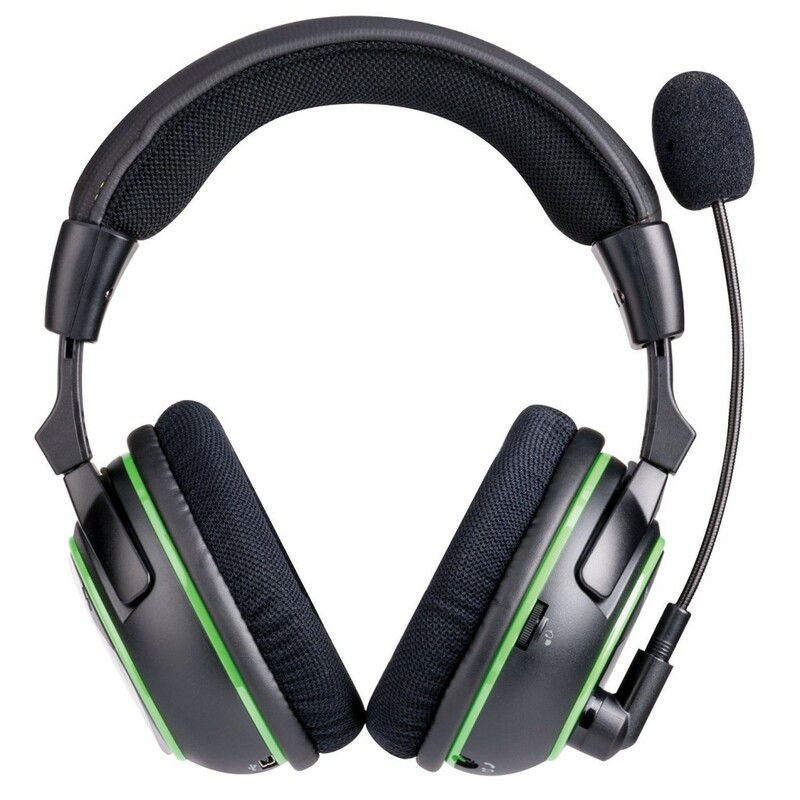 From a consumer point of view, we are in a nice position to have a selection of quality headsets to chose from for the next generation consoles and we think that the 500X is the better all round option. The Turtle Beach Ear Force Stealth 500X Premium Headset is an expensive gaming headset but make no mistake about it, it delivers every bang for your buck. Arguably, its ahead of its competition and the totally wireless solution it offers is a huge deal. You could opt for other feature rich models such as the XP510 if you are prepared to shell out that bit extra. Otherwise, the Turtle Beach Ear Force Stealth 500X represents one of the best gaming headsets in its category on the market. You can check for the cheapest prices here.